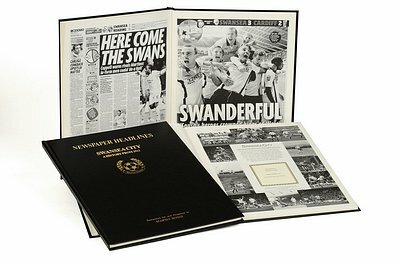 This football team book is packed with exact printed copies of original newspaper pages, individually-bound in a hand made leatherette book, approximately tabloid newspaper size - this means that the text hasn't had to be reduced in size, which would otherwise make reading uncomfortable. What's more our albums are printed to order so they are the latest, up-to-date versions. Usually sent to UK mainland addresses on a 3-5 day courrier service. An express delivery option is also available. When you input your address details, you can also add special delivery instructions. Original Newspaper Articles covering the history of Bristol Rovers FC. This personalised book is the perfect gift for Bristol Rovers fans. Up to 170 pages. Drawing from the UK's largest newspaper archive of the last 100 years, our Bristol Rovers Football Club Album captures the moments of the major events in the history of Bristol Rovers FC in the form of re-prints of original pages in the British press , enabling you to read first hand about the greatest football matches played by Bristol Rovers over the last 100 years. 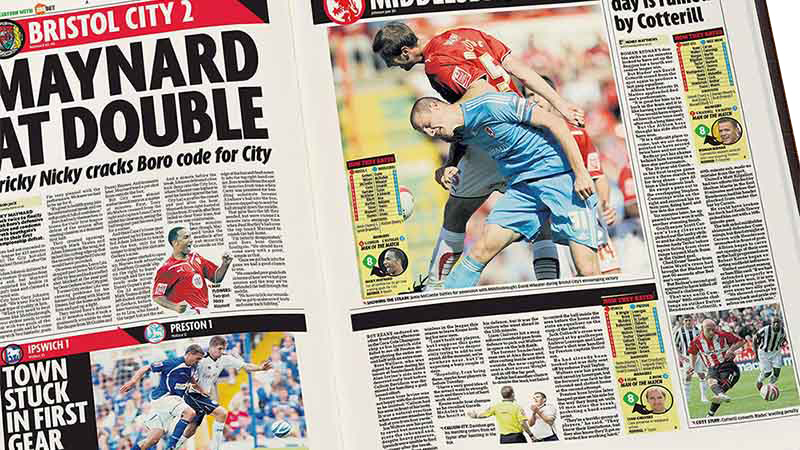 For more senior football fans, our football newspaper articles will bring the past to life. 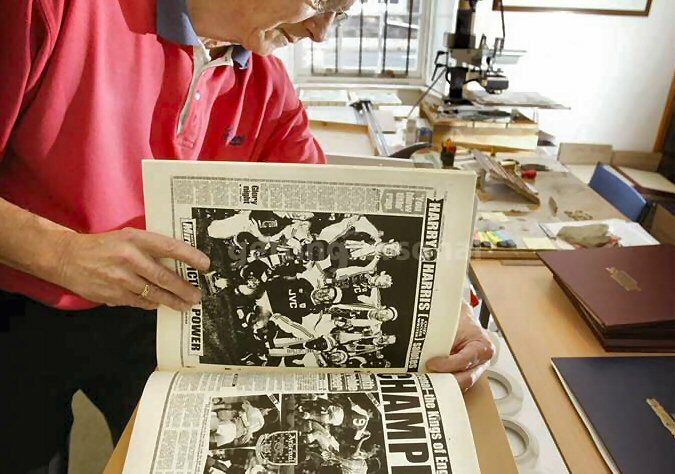 For younger football fans, the pages tell the story of Bristol Rovers the way it was reported at the time, relating the thrills, the spills and the emotions these created. 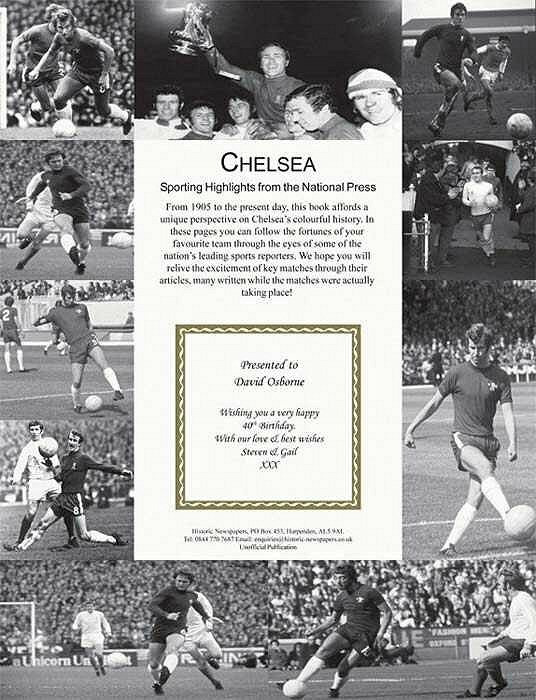 What's more, it is not just the article that is re-typed - each article is reproduced as a real genuine copy of the entire original newspaper page, so there are often other articles of the times of additional interest, and the reader gets a real feel for the way things were, which really helps to bring your memories of Bristol Rovers to life. Our albums are printed to order so they ar the latest, up-to-date versions. Large format book, size 38 x 31cm. Our standard books contain high-quality black & white copies of original newspaper articles. After 2005, articles were published in colour. We therefore offer the colour page option, which means that all articles in the book, that were originally published after 2005, are reproduced in full colour. For an additional 5.00 the recipients name can also be embossed on the front cover of the book. Just fill in the name above, before clicking the Add to Cart button. 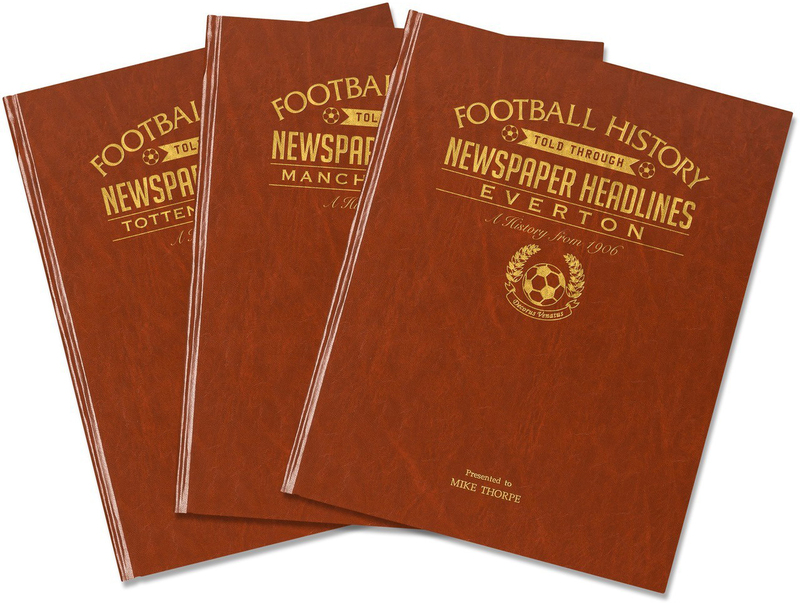 Over 100 pages of reprinted NEWSPAPER articles starting from the birth of the club to the present day. The most recent articles relate to the most important events in the current season. If purchased out of the football season (eg during the summer), the most recent articles will be from the previous season.